If you hear a lot of free jazz, you will sense the tumult and the chaos. 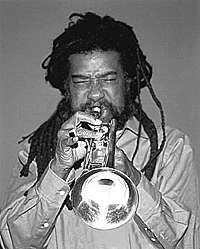 But in Wadada Leo Smiths world, there is a clarity. The sounds are heard for their own sake. That is why, for those into free jazz, Smith's reissue boxset, Kabell Years (1971-79), is still startling. Philip Cheah reviews. Back in the mid-'70s, I used to buy a lot of vinyl records even by artistes I didnt know about. Record stores were closing as old buildings were being destroyed to build new malls. So there was a lot of music in $ingapore going on sale. Thats how my LP collection just mushroomed. I wasnt into jazz then but I bought lots, on instinct that I would turn to it one day. 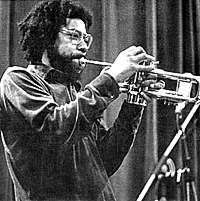 Last week I opened two mint vinyl copies of the Creative Construction Companys first New York concerts by the Association for Advancement of Creative Musicians (AACM) in 1971, the band in which a young Wadada Leo Smith was in. This was part of the backgrounding I had to do to understand the new four-disc box of Smiths hard-to-get early recordings (1971-79) on the Kabell label, now reissued by John Zorns Tzadik imprint with over two-and-a-half hours of unreleased tracks. 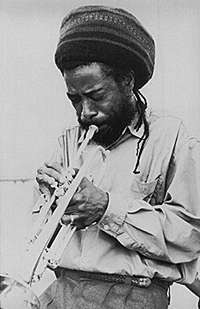 Like Albert Ayler, trumpeter, improviser and composer Wadada Leo Smith was also spiritual in his approach to music. But its the spirit of life that Smith feels intensely, that awareness of creation that causes him to appreciate the silence and the space between. After the second wave of free jazzers such as Ayler and Archie Shepp in the early '60s, the wave of Chicago new music was felt since the founding of the AACM in 1965. Smith was one of the pioneers of the AACM who played in its early gigs in 1967, along with Anthony Braxton, Leroy Jenkins, Muhal Richard Abrams, Steve McCall and Richard Davis. Smiths music heard today is still startling. If you hear a lot of free jazz, you will sense the tumult and the chaos. But in Smiths world, there is a clarity. The sounds are heard for their own sake. There is a space between each sound. Like listening to the wind. On Creative Music - 1 (1971), Smith is heard solo. Like the Mississippi blues musicians that he grew up with, he plays an assortment of everyday sound instruments from metal plates, aluminium pots, bells and gongs to his trumpet (nope, no washboards!). Smith is interested in the purity of sounds and if you realise his studies in world music from African to Asian, you can pick out how he combines jazz with shades of gamelan on the title track. Take note also of his blowing technique. Smiths lineage goes back to Louis Armstrong through to Miles Davis. They all have a powerful direct air thrust in their blowing technique. Thats the joy of hearing their tone. As mentioned before, like listening to the wind. On the title track, Reflectativity (1974), Smith evokes the spirit of Ellington, another historical jazz improvisor whom he respects. A young Anthony Davis plays piano in Smiths band, the New Dalta Ankri, together with bassist Wes Brown. Here is another Smith concept, his own unique system of notation called Ahkreanvention. The notes appear on the sheets not in a continuous form but in isolated spaces. Therefore while each performer is aware of what the other is playing, he is free to improvise independently in isolation from the others. Song of Humanity (1975) is by far the most accessible work. Thats because the band has reverted to a more standard format including a drummer (finally), Pheeroan Ak Laff, and a second reedsman, saxophonist Oliver Lake. Of Blues and Dreams, a well-known composition by Anthony Davis, is featured while Smith is heard on muted trumpet on most tracks (almost like Miles). Isnt it any wonder that Smith was later called to join the Yo Miles! Project. Finally on Ahkreanvention (1979), we return to a solo Smith. Again we are faced with the meditative quality of Smiths work with its copious use of silence. Love Is A Rare Beauty: Movements 1-5 can be seen as a sonic sculpture. In the end, thats what Smith challenges you to do, to contemplate art in its essence again, without its familiar forms. In a way, he links the problems we face in perceiving art as the problems we face in perceiving the world. "And how does music solve the problem? It allows the person a moment to reflect minus the distraction of living and being involved in living. And that reflection allows them that little moment with themselves so that they can figure out the best way to maneuver through this maze of a society. Thats what art does for us, you see. And if a person that engages in experiencing art truly does drop the outside when they walk into an area to participate in art, they will be liberated."